The agency reported that seasonally adjusted household credit market debt, as a proportion of disposable income, increased to 178.5 per cent in the fourth quarter. That compared with a revised reading of 178.3 per cent in the third quarter. That means there was roughly $1.79 in credit market debt for every dollar of household disposable income in the fourth quarter. Josh Nye, senior economist at Royal Bank, said the figures highlight the challenge consumers face. "It will take a long period of household incomes outpacing credit growth to deliver meaningful improvement in the debt-to-income ratio," Nye wrote in a report. "We're not seeing that yet." Nye noted the debt service ratio increased for a fifth consecutive quarter and matched a record-high. "While we expect the BoC won't be raising rates again until later this year, the DSR is still likely to edge higher in the coming quarters as homeowners renew fixed rate loans at higher interest rate," Nye wrote. Helping fuel the rise in the two key debt ratios was a increase in borrowing in the fourth quarter. 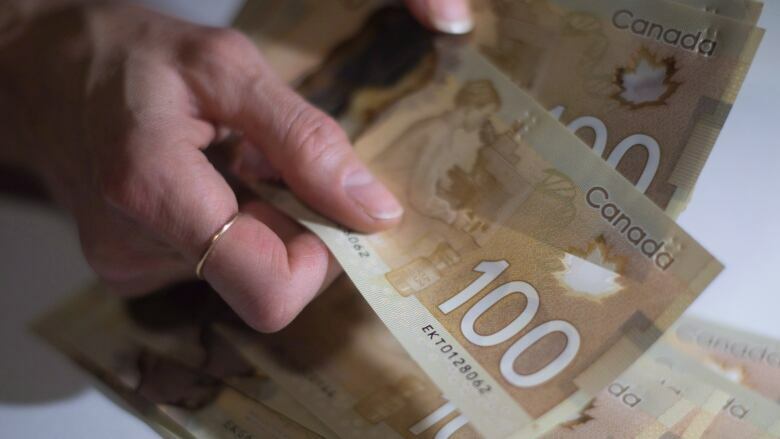 On a seasonally adjusted basis, Statistics Canada said households borrowed $21.2 billion in the fourth quarter as mortgage loan demand rose $2.3 billion to $12.3 billion. However, despite the increase in the fourth quarter, on an annual basis, household credit market borrowing fell 19.5 per cent to $84.6 billion in 2018, the lowest level of borrowing since 2014. Earlier this month, Equifax Canada reported that consumer delinquencies climbed higher in the fourth quarter of 2018 and the credit monitoring company warned that rising delinquency rates are likely to become the norm this year. It said the 90-day mortgage delinquency rate rose by 1.5 per cent from the fourth quarter of 2017 to 0.18 per cent at the end of last year. The comparable non-mortgage rate was up 0.4 per cent to 1.07 per cent.